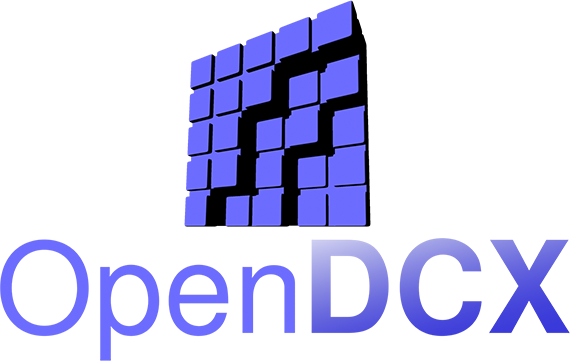 OpenVDB is an open source C++ library comprising a novel hierarchical data structure and a suite of tools for the efficient storage and manipulation of sparse volumetric data discretized on three-dimensional grids. It is developed and maintained by DreamWorks for use in volumetric applications typically encountered in feature film production. OpenDCX DreamWorks Deep Compositing Extensions allow anti-aliased compositing of OpenEXR (openexr.com) deep image files with a mixture of solid and volumetric elements, while keeping the memory requirements to a minimum. The addition of subpixel masks to each sample allows for coverage and opacity to be treated separately, without an excessive increase in memory consumption, and with the use of the new 'hard surface' flag, the included flattening algorithm allows for any combination of volumetric and solid elements to be merged with plausible anti-aliasing. Furthermore, the extensions provide the ability to apply affine image-space transforms to the deep image data, taking advantage of the sub-pixel information within each sample. Finally, a sub-pixel accurate pixel filtering method is provided to allow higher quality image reconstruction. OpenSubdiv is a set of open source libraries that implement high performance subdivision surface (subdiv) evaluation on massively parallel CPU and GPU architectures. This code path is optimized for drawing deforming surfaces with static topology at interactive framerates. OpenSubdiv is an API ready to be integrated into 3rd party digital content creation tools. It is not an application, nor a tool that can be used directly to create digital assets. USD Manager is an open-source, python-based Qt tool for browsing, managing, and editing text-based files like USD, combining the best features from your favorite web browser and text editor into one application, with hooks to deeply integrate with other pipeline tools. It is developed and maintained by DreamWorks Animation for use with USD and other hierarchical, text-based workflows, primarily geared towards feature film production. While primarily designed around PyQt4, USD Manager uses the Qt.py compatibility library to allow working with PyQt4, PyQt5, PySide, or PySide2 for Qt bindings.